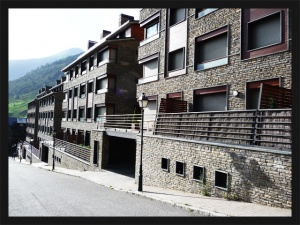 The apartments are located in Tourist Residences 1 * at 300 m from the feet of the ski slopes of Tarter. The rental is possible from 3 nights. We have several apartments from T2 (1 bedroom) to T4 (3 bedrooms) that can accommodate from 2 to 8 people . The rental includes a parking space in the building, an equipped kitchen (some of which have a dishwasher), plates ceramic hob, oven, microwave, toaster and fridge with freezer. Sheets and towels are obligatorily supplied with a supplement of price. Some apartments are located in the south with a view of the slopes and others are located to the north with a village view.